The antique store wanted $40 for it: a heavy, well-built oak telephone bench with turned legs and a small storage compartment. It had some nice detailed carving, too. 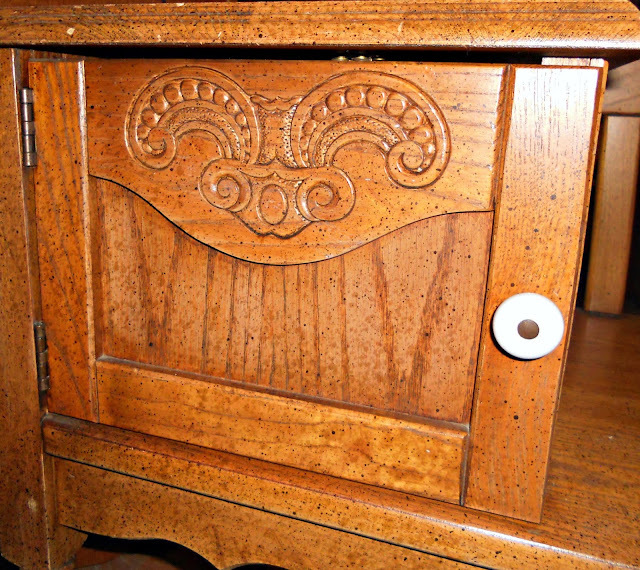 But the finish was pretty rough and scarred, so I haggled a little, and for $35 it was mine. That's a bit more than I like to spend on a makeover piece, but I had a good feeling about this one. 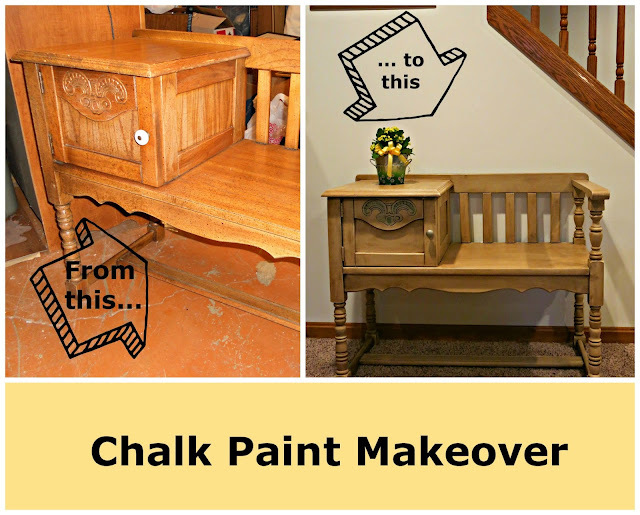 Home to my basement studio it went, and I immediately painted it all over with Annie Sloan chalk paint in Pure White. 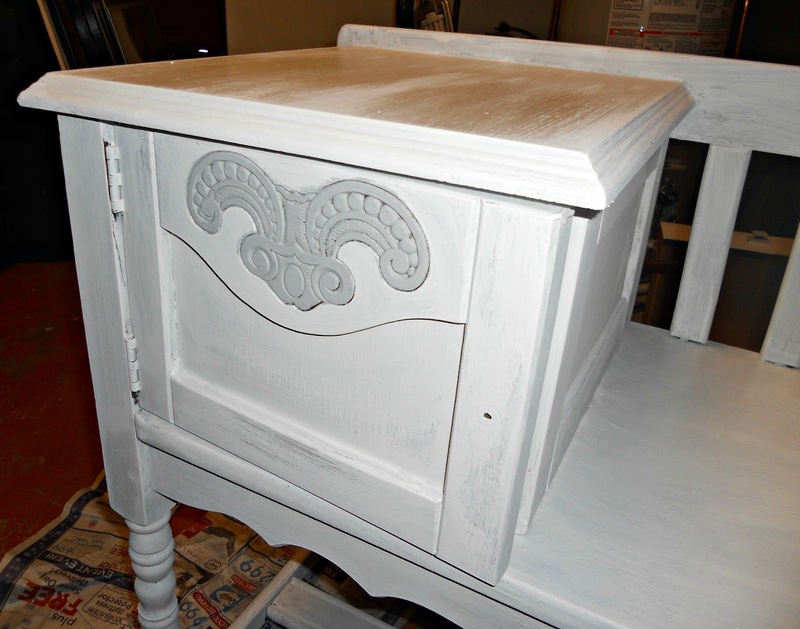 To make the carved detail stand out, I applied a coat of Paris Grey. 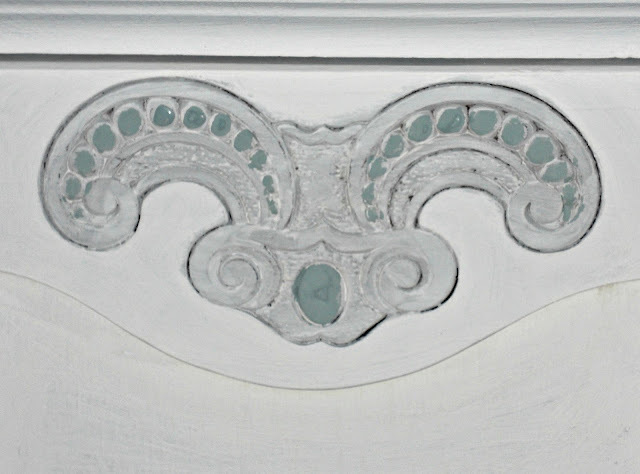 Then I used a bit of Duck Egg Blue to further bring out the carved medallions within the detail. 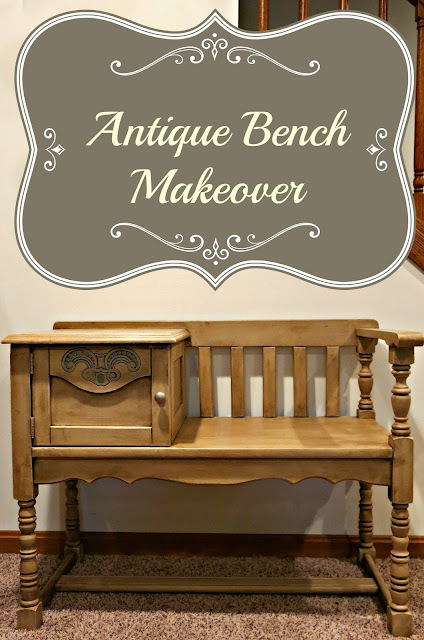 After the paint was thoroughly dry, I thinned down a dollop of Annie Sloan Dark Wax with some mineral spirits until it was the consistency of chocolate syrup, and I applied it to the piece using a natural-bristle paintbrush. I brushed on wax in small sections and immediately buffed it off using an old cloth diaper. Finally I applied a thin coat of clear wax. Your transformation is BEAUTIFUL!!!! 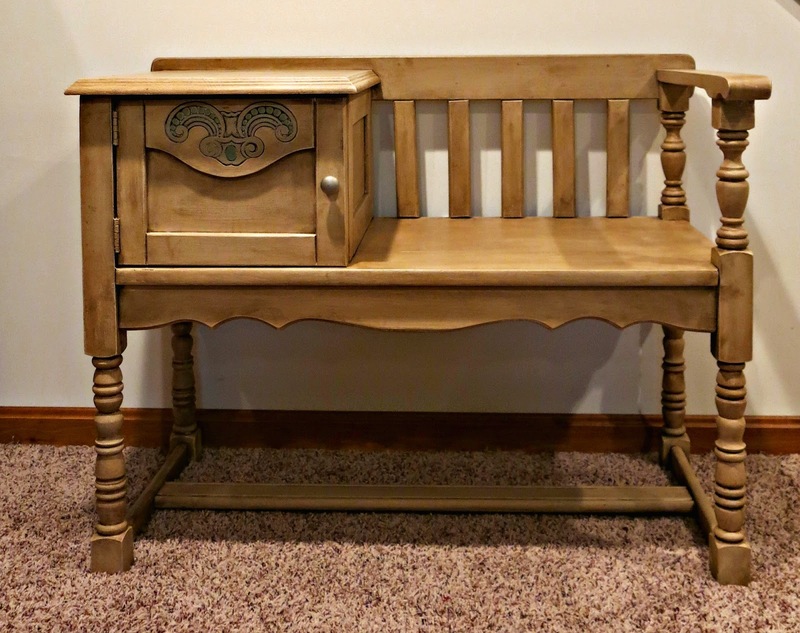 Thanks for linking up at The Project Stash! Thank you! I can't wait to try it again! Wow! What a 'fabulosa' before and after! It's really a beautiful piece!